If you live by e-mail, it’s easy to die by e-mail. E-mail fatalities come in many forms, and one of the most common is drowning. These “Top-15″ e-mail time management tips will help you stay afloat and swimming in the right direction through that flood of messages vying for your attention. Keep your “business” e-mailbox as lean as possible. Create electronic folders so you have a place to keep messages sorted by subject. Plan your filing. Don’t just create a new folder for every detail or use your inbox or sent mail as a huge miscellaneous file or everything will run together and get out of hand. File messages according to subject, key word, or author, and then move incoming, related messages into the respective folders. This will keep things neat and organised. Create an “Action Items” folder for important e-mail that needs attention. Review the items in this file daily and save them to your hard drive or delete them when you’ve finished them. Use the “Tools, Organize” or “Tools/Rules” function in your e-mail programme to colour-code incoming e-mail from your boss or key team members so they stand out from the others. Glance at all new e-mail “Subject” lines and delete the junk mail as you go. As you do this, look for the important ones that you’ll read. If your e-mail system can organise messages according to “threads,” read the last message first in a thread that deals with a particular subject. Many times you won’t need to read the previous ones. Decide what action or response is necessary whenever you read e-mail. By deciding right away, you save time not having to reread it and rethink what it’s about. Handle e-mail once when possible. Use your e-mail program’s filters to prevent spam. 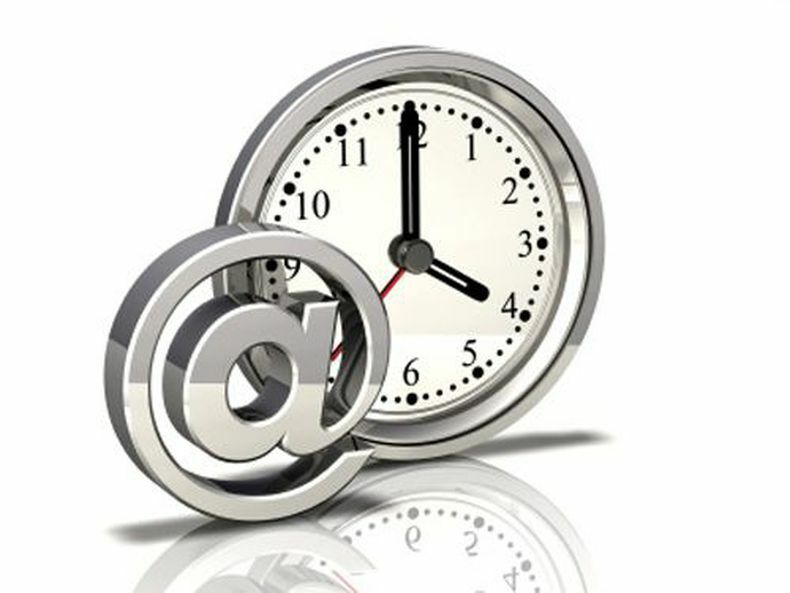 Before you set up auto-filing features consider whether urgent mail might wind up being auto-filed before you see it. When “Sent” and “Received” items relate to each other, store them in the same folders. Avoid getting on lists for jokes, cute stories, etc. If you like to receive this kind of material, set up an auto-filing function to send them into special files that you can review at your leisure. Unless you’re on a team with constant hot mails going back and forth, determine a reasonable frequency for checking your e-mail. Checking it too often could be a way to escape or avoid what you should really be doing. Learn to discipline yourself to focus on the task at hand and not feel compelled to open every e-mail as soon as it comes in. You generally should attempt to work until you come to some kind of natural break or stopping point before you check your e-mail so you can keep a good work flow and momentum going. If you have to keep complete records of e-mail correspondence, save your “Reply”e-mail. When you reply to people’s e-mail, a copy of their entire e-mail is automatically included in the reply. Use one address if you register for something on the Internet (which might attract spam), another for business, and another for personal use. Regularly purge your e-mail of outdated and unnecessary messages. Archive e-mail that you need to keep for historical reasons.